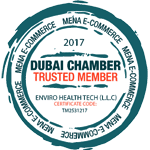 Items offered on our website are only available for delivery to addresses in Dubai, U.A.E. Any shipments outside of Dubai UAE are not available at this time. Unless there are exceptional circumstances, we make every effort to fulfill your order within  business days of the date of your order. Business day mean Sunday to Thursday, except holidays. Please note we do not ship on (Fridays and Saturday). VAT is charged according to the province or territory to which the item is shipped. If there is any damage to the packaging on delivery, contact us immediately at By Email ONLY.